Average Fuel Utilization Efficiency (AFUE) - This measures efficiency for gas and oil-fired furnaces. 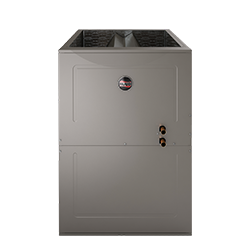 Quality furnaces will range from 78% to 98.5%. A 78% AFUE rating means that the furnace converts 78% of fuel to heat your house, while the remaining 30% is sent out the flue. Seasonal Energy Efficiency Ratio (SEER) - This is the standard rating used to measure efficiency of air conditioners and heat pumps. The higher the SEER rating, the less energy the unit consumes and the less impact it has on the environment. You will want to look for a rating between 13 and 30. Energy Star rated systems have a SEER rating of at least 14. Heating Seasonal Performance Factor (HSPF) - This rating is used to measure heating efficiency for heat pumps. 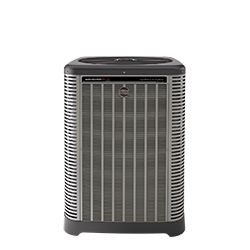 Like the SEER rating, the higher the HSPF, the more efficient and cost effective your heat pump is. Look for a rating between 7.7 and 13. 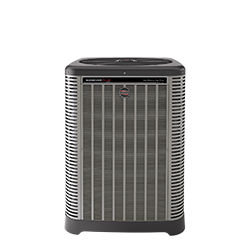 Energy Star rated heat pumps have an HSPF of at least 8.2. 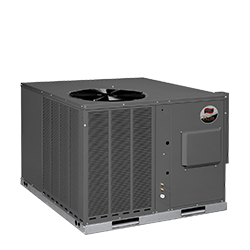 When purchasing a new HVAC unit, you will need to consider the initial cost to purchase and install the system as well as the long-term costs. Remember, your HVAC system is a long-term investment. 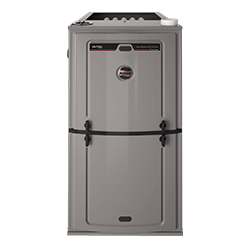 Factors such as utility costs, maintenance and repair needs, and the suggested lifespan of the unit will impact your overall costs. Though high efficiency HVAC systems may cost more initially, they will help you save more money over time by lowering your monthly energy costs. Did you know that many brand new HVAC systems waste an average of 1/3 of the total energy used because they are the wrong size or were not installed properly? That’s why it’s vital that you find an experienced and qualified contractor that can provide installation as well as maintenance over time. A good contractor will know how to calculate the right size HVAC equipment for your home to make sure that your system is efficiently heating and cooling your home year-round. They will also know how to properly install your system to get you the best efficiency over time. Do your research and make sure that you’re working with a licensed New Richmond HVAC contractor with experience installing new systems.